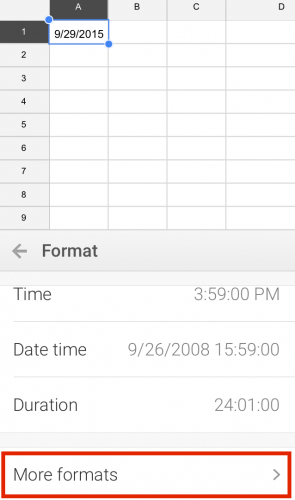 Google Sheets is a free alternative to Microsoft Excel that has a mobile and web version. Sheets does not have the full range of capabilities of Excel, but it works well with the touch interface of a mobile phone. I would not use Sheets to manage large datasets or do any serious computation, but it has the functionality that I am likely to use on the go. 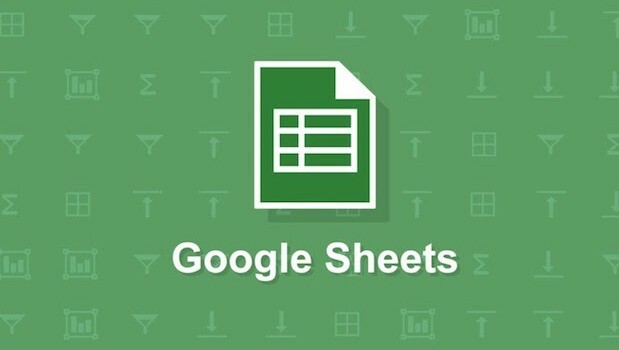 Google Sheets can be used offline, or it can sync with your Google Drive so that you can pull up all your Sheets on any computer or device. If you do not already have the Google Sheets app, you can download it by following these links for android or iOS. Are you working with dates in your spreadsheet? You can format dates in a number of ways in Sheets. You can change your date to spell out the month. You can use dashes or slashes to separate out the month and day. You can put the month, year, or day first. I counted 12 different date formatting options. 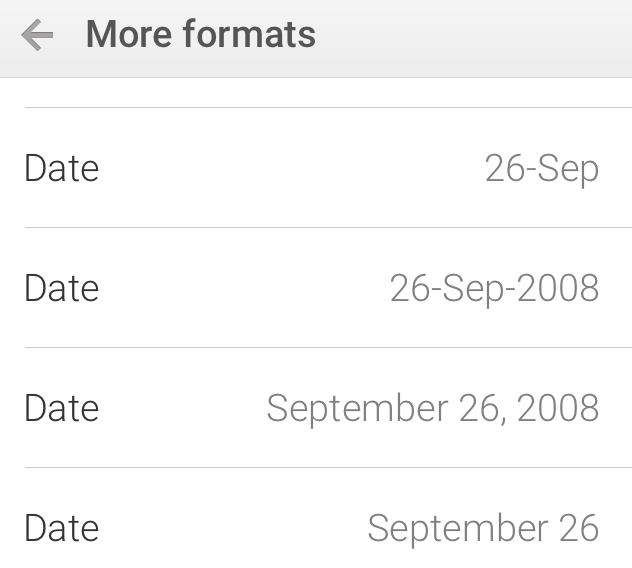 1.Type in a date, and then click the Format icon on the top menu. It looks like the letter “A” with some lines next to it. 2.Tap on Cell on the top of the formatting panel. Scroll down until you see Number format in the list. Tap on it. 3.Scroll through the list of number format options until you get to the date and time options. To see more options, click on More formats at the very bottom of the list. 4.The More formats menu includes options to spell out month name. Choose whatever option you wish. 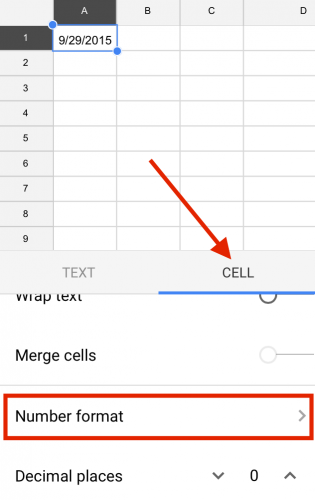 5.Note: you can format a cell as a date before you type anything in. If you format a cell in the “26-Sep” style and you type “2/14” into that cell, it will show up as “14-Feb” once you hit enter.